On November 24, the United States and five other world powers announced an interim agreement to temporarily freeze Iran’s nuclear program. The six-month accord is designed to give international negotiators time to negotiate a more comprehensive pact that would remove the threat of Iran producing nuclear weapons. The talks had reached an impasse in early November, when Iranian president Hassan Rouhani insisted on his nation’s “right” to enrich uranium, as reported in the New York Times. Western officials were confused by Iran’s unwillingness to budge. They were dangling what should have been a tempting carrot: the promise of lessened sanctions, which would provide significant financial relief to Iran. Psychological research on “sacred values” explains why the strategy of offering financial incentives in exchange for a concession related to national interests may have backfired. In negotiation, virtually all of us have certain sacred values on which we are unwilling to compromise. Those values can be political, religious, or personal. When sacred values are in play, studies show, any proposal of economic incentives to make a deal is liable to backfire. 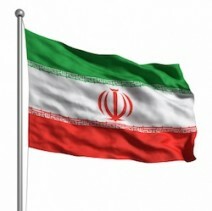 For the Iranian leadership, nuclear power appears to have become such an issue. Conflicts over sacred values can often be alleviated by separating discussions of moral issues from those that concern money and finances, a research team led by Jeremy Ginges of the New School for Social Research and Scott Atran of the University of Michigan suggests. Ultimately, the United States rejected Iran’s claim to having a “right to enrich” but agreed to allow Iran to continue to enrich at a low level, a concession that allowed a deal to emerge. During all these efforts by the US to cut a deal at almost any price, it amazes me that there has never been a mention of including concessions on Iran’s human rights abuses. If you are going to negotiate with a nation under the belief that their word is their bond, behavior is a pretty important component of any deal. Simply taking a regime’s leaders at their word without any demonstrable proof is naive at best and stupid at worse. If the US were to hold Iran accountable for example in halting public executions, releasing political prisoners and loosening restrictions on a free press and internet and satellite TV access to outside news sources, then you might be persuaded to believe that Iran is indeed wanting to change. But absent any of those moves, there is little to show that Iran’s leadership — at its core — has really changed at all and thus can’t be trusted to hold up its end of any nuclear bargain. I believe both parties specifically agreed not to touch issues that were not directly related to the nuclear program (e.g. Syria, Iran’s support for proxies, human rights, etc.). The ‘no issue-linkages’ approach, as far as I understand, was to enable negotiations to proceed without becoming bogged down in the plethora of moral and political standoffs the U.S. and Iran would otherwise need to engage in. The nuclear negotiations from the U.S. side were purely about blocking Iran’s uranium/plutonium pathways to a bomb, and if you follow Khamenei’s line of argumentation, Iran was not willing to engage on any other matter (potentially due to fears of regime change). Perhaps, assuming implementation continues on its tentatively optimistic track, and as the U.S. and Iran continue to engage in trust-building through safeguards verification and sanctions relief, the countries’ respective officials can begin to talk about Iran’s role in the region. But, to reiterate, the deal was not meant to be a comprehensive package to change the regime’s behaviour in the domestic or international sphere, but purely to ensure its inability to establish a nuclear weapon capability.